Freedom Restoration and Roofing is your local Owens Corning Platinum Preferred Contractor. Have you noticed your roof leaking, missing shingles, or ugly stains on your roof? Freedom Restoration & Roofing has an experienced crew that can diagnose your roof problems and will carry out the roof repairs. When minor problems are overlooked, they can become costly problems that can damage the interior of your home. Make sure your home is protected to the best of your ability with quality materials and reliable repairs. Fixing your roof now can also help you avoid a full roof replacement. If your roof is showing signs of wear or you’ve noticed a problem, call us at 1-855-561-6143 or click below to request a roof inspection and repair estimate today! 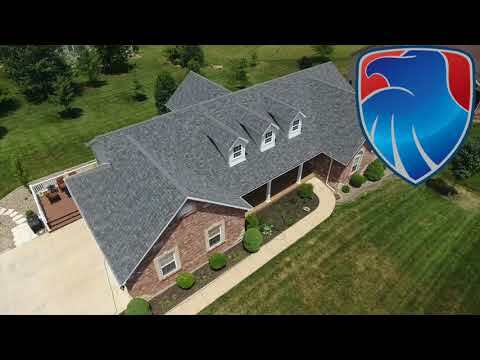 We are your experienced roofing contractor serving St. Peters, O Fallon, Warrenton, and nearby Missouri areas. Shingle lifting. A roof problem that should be repaired to prevent water from leaking. Don’t ignore a leaky roof – we'll help! You know you have a leaky roof when water has stained your ceiling or walls. Finding the original spot where your roof is leaking from can be difficult. Water can enter the roof in one spot and run down to another before it gets into your living space. While most roof leaks are caused by damaged or missing shingles or tiles, the problem may also be inadequate flashing or more serious deterioration of the roof covering. Here at Freedom Restoration & Roofing, we can use our experience to best find roof leaks quickly and provide all roof leak repair services at a reasonable cost. Why risk climbing on your roof? Trust our experts for fast, reliable help! Whether your roof is damaged by a recent storm or from normal wear, our goal is to improve the condition of your roof and prolong the need for roof replacement. Contact us today to discuss your needs with one of our best and knowledgeable specialists! We will provide you with a free estimate of the cost of roof repair. We work in St. Charles, St. Louis, Florissant, Chesterfield, Ballwin, Wentzville, Troy, and the surrounding areas.